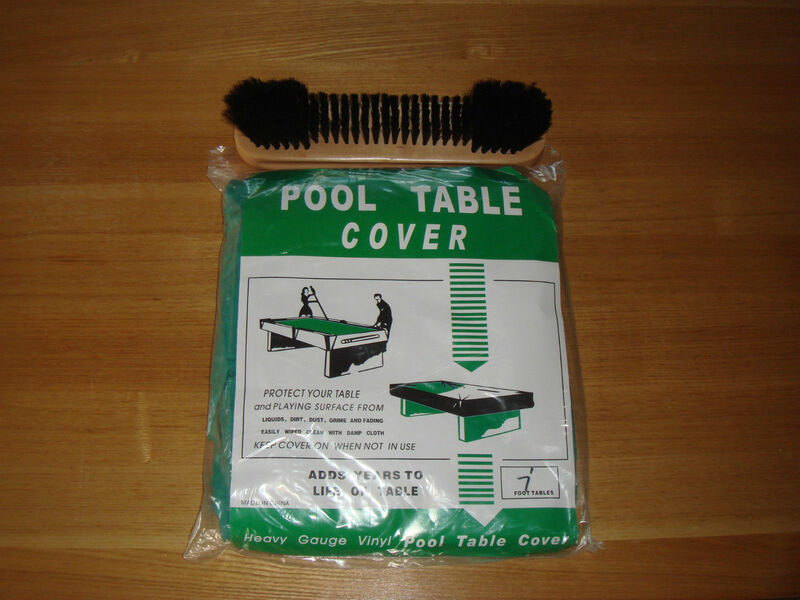 On Special Offer we are selling a Pool Table Brush and Cover. The cover fits both 6ft and 7ft Pool Tables. This cover is only a dust cover and therefor is not water proof. They have elastic corners for easy fitting. The brush is aproximately 7 inches long. It has nylon bristles. This size brush is perfect for maintaining your Pool Table cloth.